The president of the Federal republic of Somalia, Professor Hassan Sheik Mohamud, has enthusiastically commended the world football’s governing body [FIFA] for its role in the promotion of peace and football development in the country. 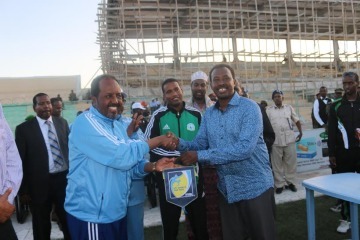 President Mohamud, made the announcement after receiving a gold medal and a fair play flag from Somali Football federation president, Abdiqani Said Arab, at Stadium Banadir where the president of the republic arrived and watched a football match at the invitation of the Somali Football Federation on Friday. “On my behalf and on the behalf of the nation of Somalia, I acclaim FIFA and its leadership for helping the creation of peace and public integration through football for peace initiatives in the country�? president Hassan Sheik Mohamud told the media. He said that FIFA was also praiseworthy for financing the construction of football facilities in the country which he said was encouraging thousands of youths to refrain from violence and join football. The president said he was fully appreciating the widespread activities that Somali Football federation is doing in the country adding that the SFF was the sole institution that has so far done a real work in the country. 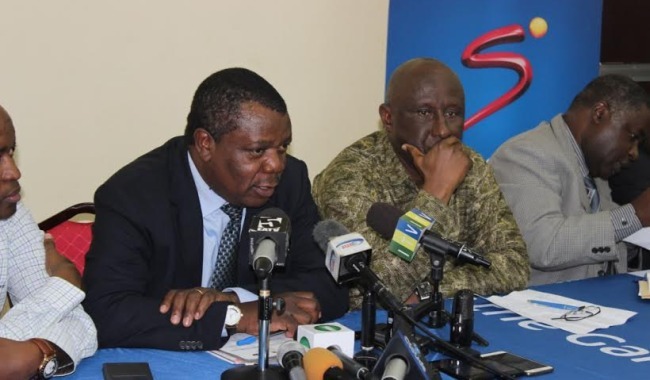 “Actually it is a fantastic move forward that thousands of young people are arriving here on daily basis to either play or watch football competitions—this is part of peace building in the country and I applaud for such a constructive move�? president Hassan Sheik Mohamud emphasized. 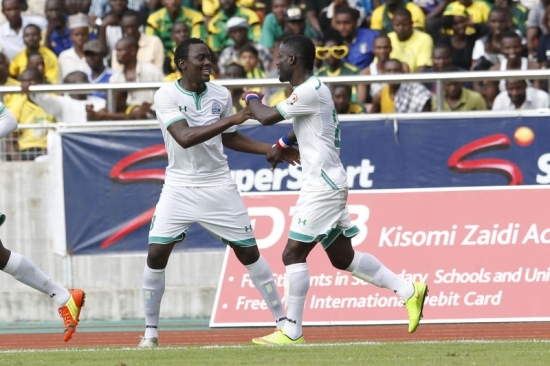 The president said that it was an amazing episode that dozens of foreign football professionals are now playing in the country’s Nation Link Telecom Championship, saying this was a clear indication that Somalia was fully back. “This is what football is all about by bringing people of different cultural backgrounds together to create friendship and brotherhood amongst them�? noted the president who said he was exited that peace in the country was accepting foreign players to arrive in Somalia. The president gave Somali Football Federation officials full access to the presidential palace with no restrictions whenever then need to meet him. “My office is open to you, so come to me any time and let me know all concerns you may have�? 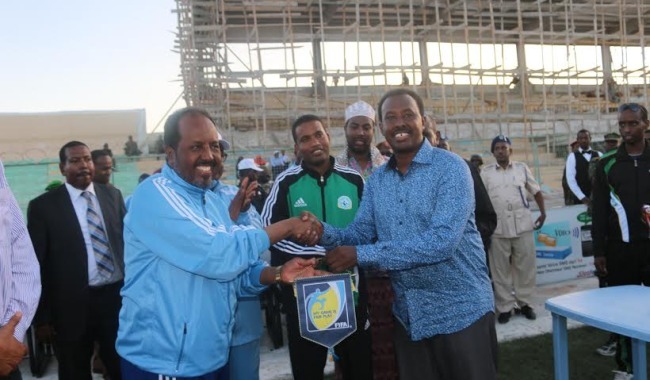 president Hassan Sheik Mohamud told SFF officials as he and other government officials including ministers and parliament members enjoyed a football game on Friday. The football match was part of the memorial commemoration of the 72nd anniversary of the Somali Youth League (SYL), a group of 13 young men who brought about Somalia’s independence in 1960. The patriots are now known as the fathers of independence.